One of those things that I do, going all the way to Sentosa iFly for fried chicken. 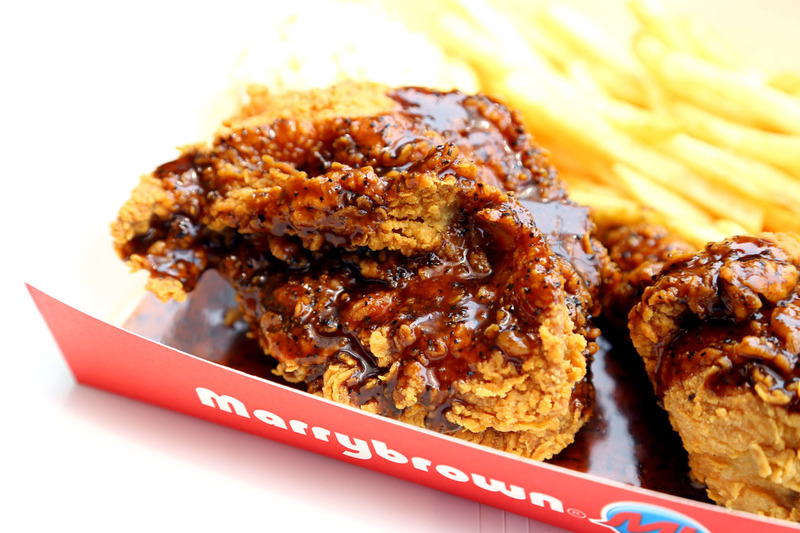 Marrybrown that is.Yes, that popular Halal fastfood chain that originated from Malaysia. 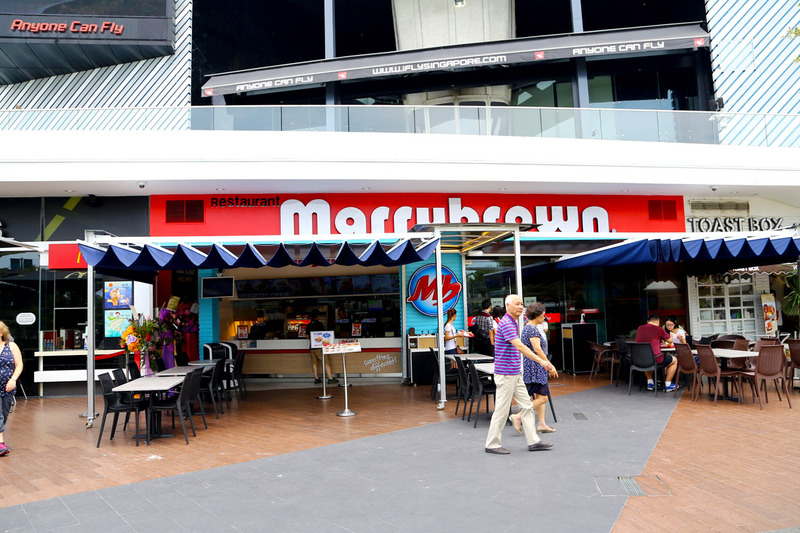 Marrybrown which was once found at Geylang and Tampines many years ago, is making a comeback. Though Sentosa is a peculiar choice of location for its return. 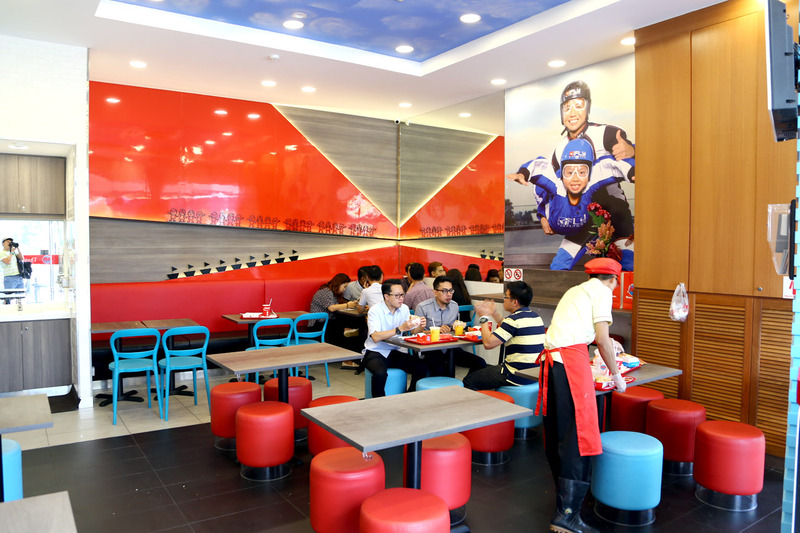 The menu features a variety of treats including Crispy Chicken, Burgers, Nasi Marrybrown, Mi Kari, Fish N Chips, and Chicken Porridge. I dug out both the Malaysia and Singapore menus for a comparison – just to fulfil some curiously. Well, looks like the restaurant saved quite a bit on hiring a new designer, but the prices are very disparate. 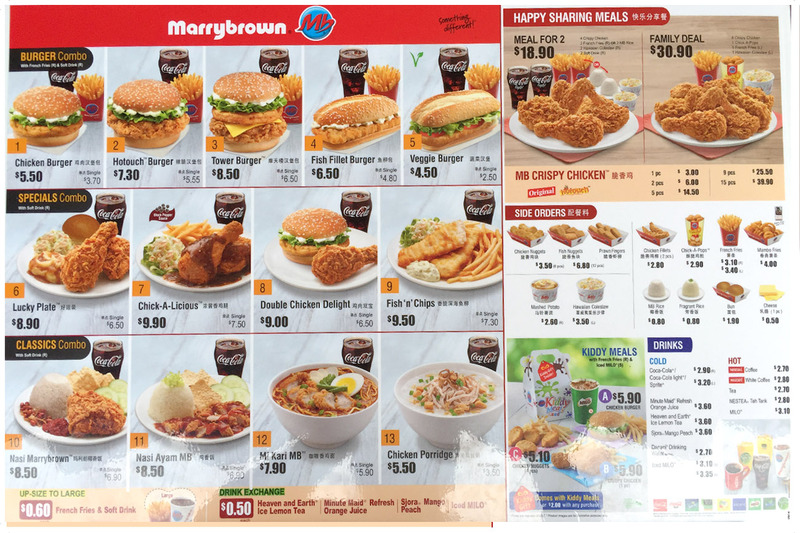 For example, a 2-chicken set of Lucky Plate is at RM$11.90 (SGD$4), while Singapore’s price is more than double at $8.90. Okay lah, shouldn’t complain. 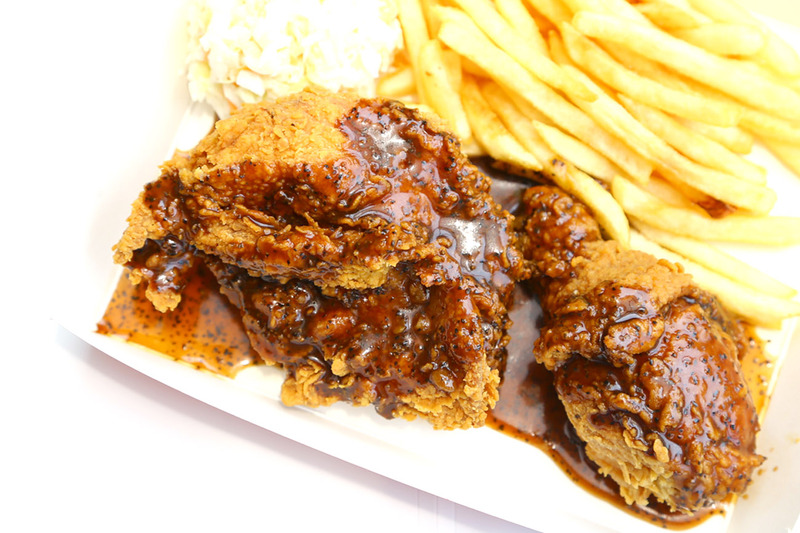 The Chick-A-Licious ($7.50, $9.90 for set with drink) contained 2 pieces of original recipe chicken, drenched in black pepper sauce which might set some tongues on fire. Barring the fact that the spices was overpowering, the chicken was indeed crisp-crunchy and juicy. 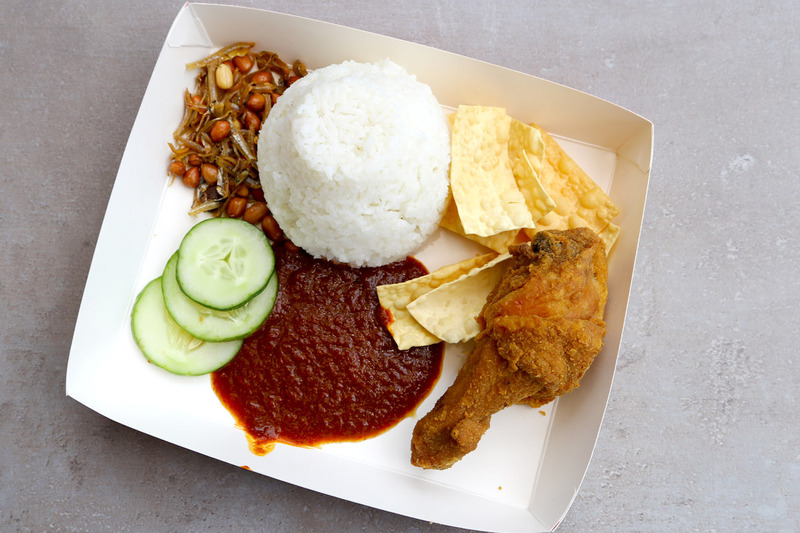 The Nasi Marrybrown ($6.90, $8.50 for set) served with rice cooked in coconut milk, crunchy peanuts, anchovies and fried chicken, provides the restaurant some local flavours. Its rice was lightly tasty, and we were surprised to find pandan leaves within. However, the peanuts was ‘lao hong’ (stale, not crunchy) and didn’t taste overly fresh. The sweet-spicy sambal chilli was the saver. The recommended Tower Burger ($6.50, $8.50) was a let-down – overall cold. 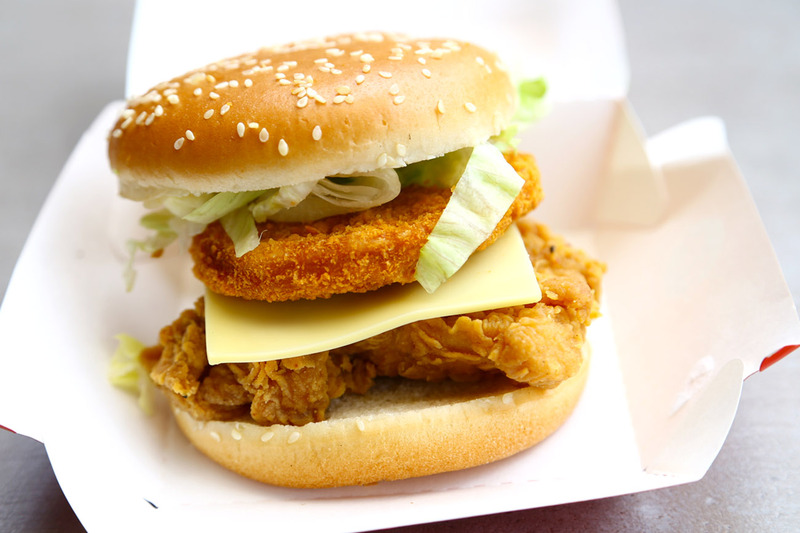 You can tell with the supposed “melted cheese” staying in place, and the chicken patty generically flat-tasting. 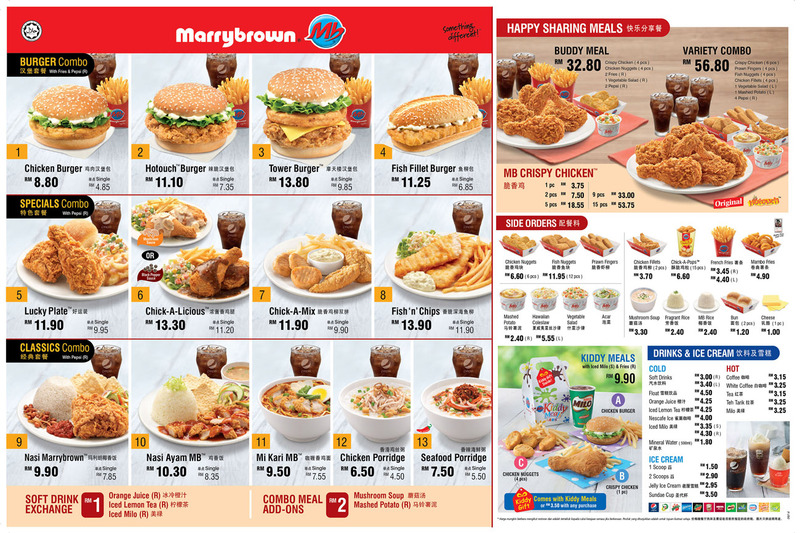 Marrybrown’s fried chicken is better than the average, though I feel there are some other chain stalls that I would have preferred. If I am around in the vicinity, why not, but doesn’t warrant a trip there just for the chicken. Wah, salute. Go all the way to ifly. My place downstairs still has popeyes lah. It’s still around. Long queue everyday. Yah, crazy, go all the way there. Popeyes came and left and came back (I think).